BBB has determined that Zeringue's Construction & Remodeling, LLC meets BBB accreditation standards, which include a commitment to make a good faith effort to resolve any consumer complaints. BBB Accredited Businesses pay a fee for accreditation review/monitoring and for support of BBB services to the public. All labor is guaranteed by Zeringue's Construction and most materials come with a manufacturers guarentee. Customer support is very important to our customers and since we are locally owned and operated in Louisiana, we are easily accessed if issues were to arise. Louisiana born, Louisiana Proud. Our customers are the most important key to the success of the company and we treat them with respect and do work to their satisfaction. 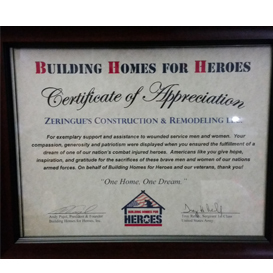 Business Description: Zeringue's Construction & Remodeling is a locally owned and operated small construction Company. We offer interior and exterior remodeling services. All of our services are achieved with quality and fairness. 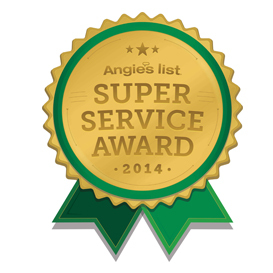 5% off for Angie's List members. Service Area: Serving The Greater New Orleans And Surrounding Areas.